Southern Land Company’s signature single-family community event, Tucker Hill Porch Fest 2018, is one for the record books! Our June 2, 2018, event guests braved some record heat and truly enjoyed the talented musicians who entertained! Thanks to all who were involved and we’re already looking forward to 2019!! Watch Our 2018 Promo Video Here! This unique live music festival, now in its third year, is free, open to the public, and will feature seven live bands, some performing on traditional stages and others positioned on Tucker Hill’s quaint front porches. The entire event will be set up in and around the community’s central park area, known as Founders Square, as well as along Ripley Street (between Addison & Fitzgerald) and Fitzgerald Avenue (from Cheltenham to Easley) leading to our new model homes! 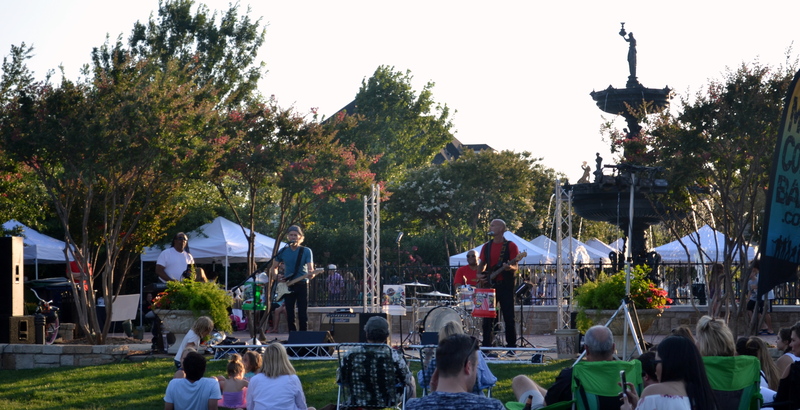 The evening highlight is a concert-on-the-lawn at Founders Square starting at 7 pm featuring Random Axis. 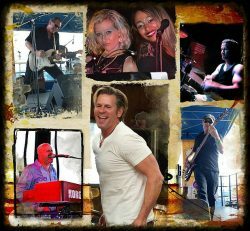 This eight-member band was recommended to us by one of Dallas’ most popular bands, Emerald City, and has been performing throughout Texas and surrounding states for over 20 years. They feature five vocalists, both male and female, the most formidable rhythm section in Dallas-Fort Worth, along with a saxophone player, all while providing professional-quality sound and lighting. The band has an extremely diverse song list from contemporary hits by artists of today, to 80s rock and 70s disco. Best known for their impressive performances of Motown hits, big band classics and jazz, the band has played for the Dallas Cowboys, the Dallas Mavericks, Texas Motor Speedway. They’ve also performed with the likes of Bruce Hornsby, Tower of Power, Willie Nelson, The Commodores, George Strait, Steve Warner, Tracy Lawrence, The Spinners and The Temptations, to name a few. As attendees stroll the Tucker Hill neighborhood and enjoy front porch concerts, they can also enjoy a unique Car Show of classic, high end and exotic cars. Event guests will be asked to vote for their favorite car and at 7:45 p.m. the car with the most votes will be presented with a $100 gift card to Best Buy. Car owners must be present to win and there is no cost to participate. All who vote also have a chance to win a $100 Calloway’s gift card. Shoppers will enjoy perusing a pop-up Artisan’s market with over 20 vendors and at least one “make-and-take” kids craft (while supplies last). 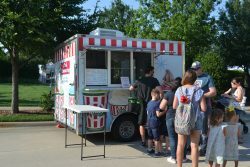 Food and drink will be available as guests can purchase wine-by-the-glass from local winery Caudalie Crest, and grab a picnic dinner or treats from food vendors including Mamacita’s (PENDING! ), Cajun Made Crawfish & Seafood, Rita’s Italian Ice, Freedom 226 Iced Coffee & Tea and The Dapper Donut. Porch Fest is Tucker Hill’s version of the extremely successful Porch Fest held annually in Franklin, Tennessee’s Westhaven community. With a simple concept — invite the musicians and provide them their stages on residents’ front porches — bands and acoustic singers will showcase their talent during Porch Fest. Residents volunteer their porches as a way to support the local music scene and interact with their neighbors. The Artisan’s Market, Car Show, and Food Vendors will be open from 5 pm until dusk. Attendees are encouraged to stroll throughout the event area from 5 until 7 pm to enjoy the variety of musical performances. Please note that the City of McKinney prohibits the consumption of alcohol on public streets. Therefore, all alcoholic beverages must remain inside our main stage concert area/wine garden. We also recommend bringing blankets or chairs to set up as you stop to enjoy not only the porch bands, but also for the stage concerts. Detailed performance schedules, band bios, links to learn more, and band photos are shown below. A detailed event map is now available below. Signage will also be placed throughout the community to assist in finding our porch bands, etc. Parking will be free and available along those streets not closed and surrounding the event area. Guests are encouraged to drive north through our community, towards our new model homes, for some of the best parking. Best route — Tremont Boulevard to Ardmore, Townsend, Darrow or Easley. For questions, including information on how to join us for the Car Show or Artisan’s Market, please email TuckerHillReception@southernland.com. Eternal Motion is one of Dallas’ Premiere Party/Dance Bands! Their genre covers it all! From Bon Jovi to Billy Idol……Pat Benatar to Joan Jett….Earth Wind and Fire to The Commodores…..Rihanna to Lady Gaga…….Miley Cyrus to Garth Brooks and KC & The Sunshine Band to Prince! All of their high energy performances promise the dance hits from the 70’s, 80’s, 90’s and Top 40. To learn more, go to https://www.eternalmotion.band/. Early on in his career, Garland, Texas native Austin Cunningham carved out a place for himself as a songwriter. 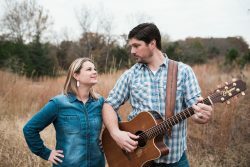 He has had songs recorded by artists such as Hank Williams, Jr., Martina McBride, Dolly Parton, Wynonna, Chris Knight, Del McCoury, and the list goes on. Austin has songs on feature film soundtracks including Ashley Judd’s Where the Heart Is, and the Richard Gere/Winona Ryder film, Autumn in New York. 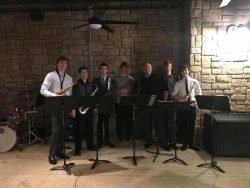 These high school musicians representing McKinney Christian Academy will entertain all lovers of instrumental jazz! 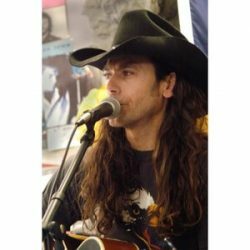 Josh Jaccard is a professional musician, showcasing the best of Classic Country & Rock ‘n Roll from the 50’s 60’s & 70’s. He is the former lead singer of the Band Maddogs 70, a Joe Cocker tribute. “Josh steals the attention with his rock star garb, shades,and rugged bandanas. 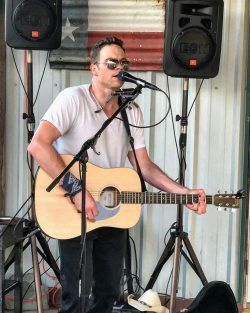 Outside of his musical talent, Josh has crafted his own style and genre of a new kind of classic.”(Ashley Ford) He has performed live shows at small venues, restaurants and wineries, as well as private parties and events alike. Josh Jaccard has been compared to Joe Cocker, Rod Stewart, Delbert McClinton, Bob Seger and John Mellencamp. To learn more, check out his Face Book page at www.facebook.com/JoshJaccardmusic .